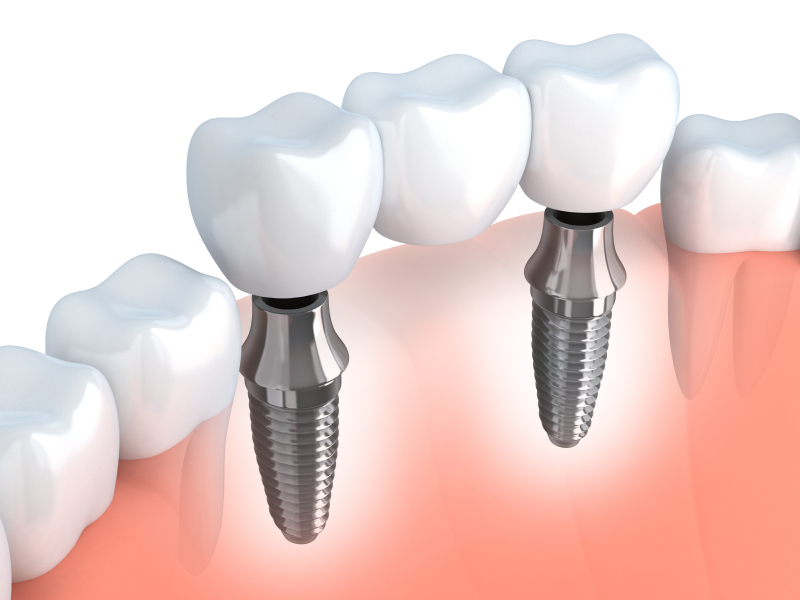 An implant is a titanium post which is placed under your gum line and is used to support a new tooth. Although they’ve been around for about five decades, dental implants have become a favourable alternative over dentures and bridges only in recent times. So what are the advantages that implants offer? Here is a list to help you understand. While dental implants cost in Melbourne more than dentures and bridges, they make up for this in terms of longevity. If maintained well, dental implants can even last a lifetime! On the other hand, dentures and bridges may need repair and replacement every 5 to 10 years. If looked at this way, the overall cost of buying and maintaining dentures and bridges can even exceed that of implants. Dentures require a high amount of maintenance, and this can be a hassle, not to mention sometimes embarrassing. While a dental implant may be artificial, it comes very close to being a real tooth. It allows you to eat your meals freely, no matter what they contain. And they also spare you the embarrassments that dentures make you deal with. Missing teeth can result in gradual deterioration of the jaw bone. While dentures and bridges can take care of the functions of your missing tooth, they fail to prevent the decay of your jaw bone. And ultimately, this can change the structure of your face. However, dental implants integrate with the jaw bone and actually simulate bone growth, thereby enhancing your jaw bone. Keeping all this in mind, it is safe to say that while the tooth implant cost in Melbourne is expensive, it can be a good long term investment.